Congratulations to Michelle Frazier and her horse “Quid Pro Quo”(aka “Charlee“), a 17.1 hand 5-year old off the track Thoroughbred who began eventing last year. They placed 2nd at the recent Longleaf Pines Horse Trials, at their first Training Level horse trials together. 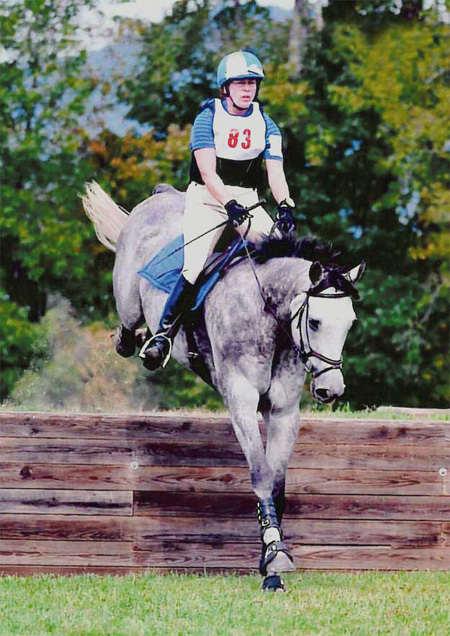 In the fall of 2009, he competed at Novice for the first time and was quite successful, qualifying for the American Eventing Championships, earning his USEA Eventing Silver Medal, and receiving the USEA Blue Ribbon Award. Posted in News on April 3, 2010 by danruccia.